Set of three polyresin coffins for sand tray therapy. These do not open but appear realistic. Mini coffins measure 3/4" x 3 7/8" x 2". These coffins have been an excellent addition to my sandtray figures. They have a nice heft when handled and each is designed in a different style. They have been used in surprising ways in my sand tray, allowing unresolved grief to surface symbolically, almost without any direct connection to the child's sand tray narrative at the time. 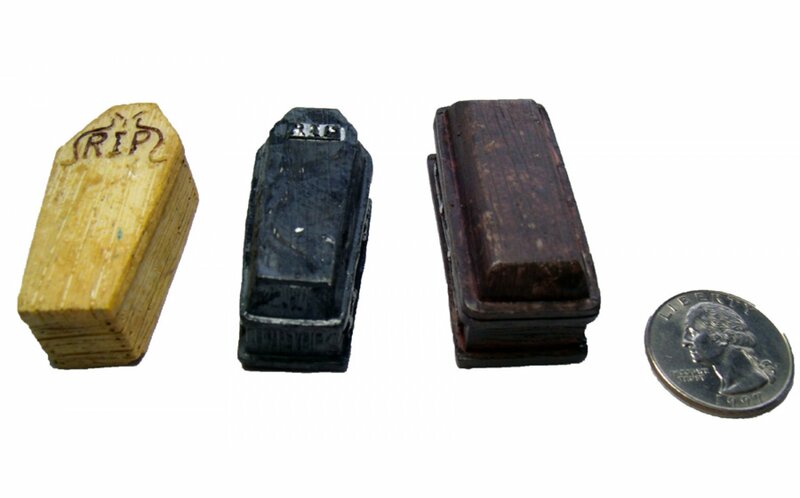 Love the coffins. They are the perfect size and already being used.